If you are looking for a comprehensive league of legend guide, then look no more as we have got all that you desire. It doesn’t matter whether you are a new user or a pro at this game, this guide will help you to boost your LoL rankings as it contains useful information related to gameplay. Continue reading to know more this all-inclusive League of Legends (LoL) guide. This one is for rookies. It is important to know about the game modes before beginning to play this game to knock down your opponent in the actual game. A point you must be aware here is that game modes need you to be present at the keyboard since most of them will pair you with live opponents. For the newbies, there is the option to select computer as their opponent. For this purpose, they can select the tutorial mode. This will give them time to practice and master their skills so that they can be fully prepared to face their opponents in the actual game and defeat them. After a new player has completed the tutorial, they are then allowed to enter PvP – player vs. player mode. All the things that you have learnt in the tutorial mode will come in handy in these games as you will be required to be at best of your potential to defeat your enemies. Upon gaining enough experience in the game, the player will then be able to play ranked games. A prominent part of games at this level is that players can get feedback on their performances in the game. A player receives points at the end of each game based on their performance. These points determine their ranking. For the selection of modes, players can choose from Classic or ARAM. They can also opt for rotating game modes. Each player is required to choose their champion before they enter a game. They have a sea of options when it comes to this very important selection. Each selection has a different set of characteristics. These characteristics define their strengths and weaknesses. These champions are controlled using a mouse and selected keys from the keyboard. For beginners, the option of selecting champion is limited. However, as they progress in the game, their champion’s pool grows and they can select the one that they feel can win the battle for them. This one is for both beginners and pros. This game thrives on continuous learning. Whether you are winning the battle or losing it, it is important to keep a keen eye on your opponents and learn key game playing skills from them. The timing of attack matters; this timing can only be mastered by practice and learning. Always ask questions to yourself at the end of each game such as what you could have done better in this game, mistakes that were made from you or how your opponents outsmarted you (if you lost the game). 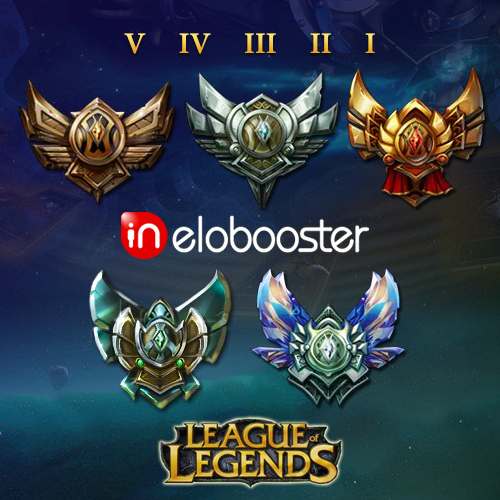 For more information on the game and if you want to boost your game rankings, please visit https://www.inelobooster.com/ to buy lol boosting service at your earliest.